Education is important to me because it was a place where I found my identity and the ability to express myself. Before I entered the first grade, I was diagnosed with learning disabilities, and many doubted I would graduate high school. From first to twelfth grade, I was in special education classes; from fifth grade onward, I was in private schools for students with mental and learning disabilities/differences. It is for this reason that, as a teacher and professor, I focus on developing and reflecting my pedagogy and educational practices. I am a critical and disability pedagogue grounded in inclusive, equitable, social justice education. Whether teaching a middle school social studies class or a graduate-level conflict studies course, my classroom practices are interactive and cater to the diverse learning styles of students. Students do not learn in the same ways, so I vary homework assignments and class activities to respect those differing capabilities. For visual learners, I incorporate PowerPoint presentations, film, YouTube videos, infographs, and diagrams. For those with artistic inclinations, I allow collages in place of a few of the course writing assignments. I also let students to create blogs and Facebook fan pages on which they write their own posts and post others’ articles and images relating to a particular reading. For those who enjoy creating videos of themselves, I have at least one assignment in all of my courses allowing students to create a two to four minute YouTube video relating to a class theme. Students and I take ownership of the class by taking turns facilitating. I commonly have students facilitate part of the class for twenty to thirty minutes, depending on the length of the class. 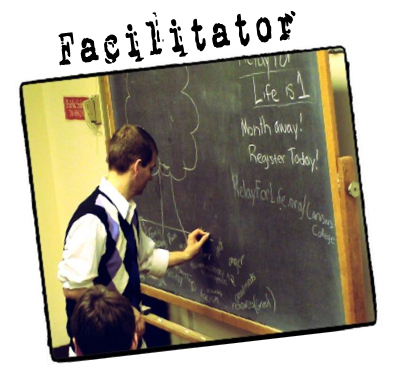 The student facilitation project has three parts a traditional presentation on the topic with a PowerPoint, a small group breakout discussion, and a visual component such as a short video clip. Within small groups, I encourage students to use boards or chart paper to discuss theories and topics. These smaller groupings often help quieter students open up. Other interactive activities I regularly use in my classes include Pictionary, Concentric Circles, Jeopardy, Bingo, and Charades. I strive to be creative by using traditional games from popular culture as methods of learning and teaching. This strategy often results in more participation and comprehension by students. Being an effective educator also means breaking down the wall between the community and the educational institution. My interdisciplinary scholarship and pedagogy can be narrowed down to my respect of theory and practice; theory informs my practice in the classroom and community and my practice in return informs (and often reforms) my theory. 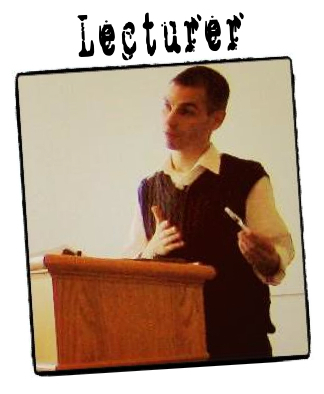 I strongly adhere to John Dewey’s statement: “Education is not preparation for life; education is life itself.” With this idea as a foundation, my scholarship and pedagogy are based on education and peace, justice, and conflict studies. For this reason, I regularly invite guest speakers such as politicians, fellow professors, community leaders, formerly incarcerated youth and adults, survivors of domestic violence, and advocates for different social causes such as disability rights and child protection into my classes. To complete the commitment to community engagement, at least once per course, we visit a community organization, government agency, or historical monument, and follow up with writing a reflective response. For example, my students have volunteered at the Boys and Girls Club, Habitat for Humanity, a homeless shelter, and at a youth detention facility. My students have also co-organized town hall meetings about gun violence, music benefits for incarcerated youth, bake sales to support homeless shelters, and academic conference. In conclusion, I believe that teachers and professors have a duty to uplift and challenge students while establishing a safe, holistic, transformative, fun, inclusive, and equitable learning environment. All educators have the responsibility to foster leaders and citizens who will impact the world in positive ways that promote peace and justice. Teachers must encourage students to challenge and share their knowledge and experiences in their assignments and during classroom discussions. Finally, I believe that honesty, trust, hope, and love are needed ingredients in one’s educational journey. On this journey, I serve as a mentor and guide, who conducts himself as a positive role model to my students and others.